With 2017 right around the corner, it’s the perfect time to start planning for your career and organizational success in the new year. 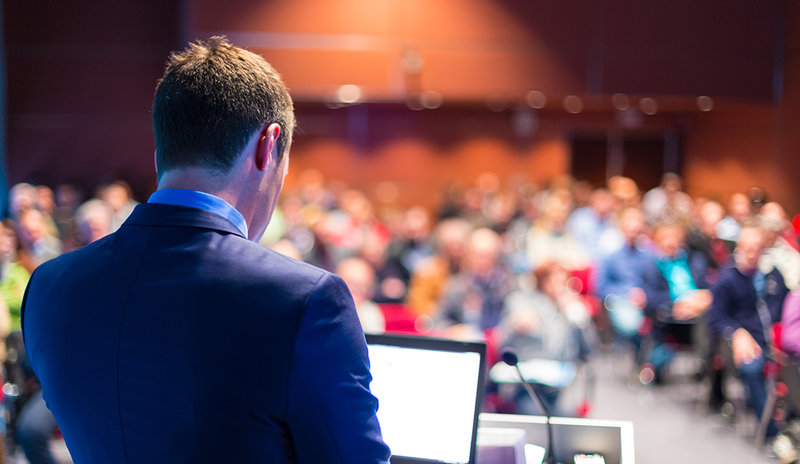 For HR and recruiting pros, the conference circuit will be a critical component of both endeavors. After all, there’s no better place to learn about new technology, catch up on important industry trends and news, and refine your best practices than a good, old-fashioned HR and recruiting conference. Why: You probably don’t need us to tell you that HR Tech is one of the biggest names in the HR and recruiting conference space. Celebrating its 20th anniversary next year, this event never fails to bring the biggest and brightest stars in the industry together to talk about what’s changing in the world of HR and recruiting – and how you can keep up. Plus, the conference’s accompanying expo is the largest HR technology expo in the world. Why: Like HR Tech, SHRM’s annual conference pretty much speaks for itself. Why: TAtech: The Association for Talent Acquisition Solutions is the foremost trade association for organizations that traffic in recruiting technologies. Unsurprisingly, TAtech’s twice-annual industry congresses are the only HR/recruiting conferences conducted by and for talent acquisition technology companies. If you work in the talent acquisition technology space in any capacity, you can’t afford to miss TAtech’s events. Why: The National Association of Personnel Services (NAPS) is a 50-year-old professional association dedicated to promoting, representing, and advocating for the staffing, search, and recruiting industry. Attendees of past conferences have praised the event’s energy level, collective expertise, formal and informal educational opportunities, and growth mindset. All in all, one gets the sense that a NAPS conference isn’t about staring slack-jawed at a parade of speakers; rather, it’s about building meaningful relationships with likeminded professionals. Why: While the Recruiting Trends programming schedule for 2017 is currently under construction, highlights from 2016 include: “The Art of Connecting: Recruit Like an FBI Agent, the Original Social Engineers”; “Building Effective Hiring Manager Relationships”; “Beyond the ATS: The Red Carpet Candidate Experience”; and “Exploring Beyond the Google/Bing Search Engine Galaxy.” There’s good reason to expect that next year’s iteration will be just as exciting, so go ahead and register. Why: Details surrounding LinkedIn Talent Connect 2017 are scarce right now, but if you want to get a taste for how the conference might go, check out the “All Access” section of the conference’s website. There, you’ll find videos of breakout sessions and keynote speeches, interviews with attendees and speakers, and at least one photo in which Sir Richard Branson looks like he’s about to bust a move. After sorting through it all, you’ll regret missing Talent Connect 2016 – and vow to never miss another. Why: Four times a year, ERE Media puts on can’t-miss conferences. The ERE Recruiting Conference series caters to talent acquisition leaders who manage teams and oversee recruiting functions, while the SourceCon series focuses on sourcers and recruiters battling for talent in the trenches. Why: Held by FlexJobs and Remote.co, the TRaD Works Forum is a space where leaders can get together to talk about evolving trends in telecommuting, remote work, and distributed workforces. (“TRaD” actually stands for “telecommuting, remote, and distributed”). Given that these new ways of working are growing in popularity – and have pretty much become permanent fixtures in the business landscape today – it would be wise to spend a few days in 2017 exploring the future of work. Why: What the TRaD Works Forum is to workplace flexibility, HR Uncubed is to employer branding. This three-day event focuses on defining company cultures, building authentic brands, and learning how to use the right tools to share your branding messages and attract the right talent.